1) it layouts the foundation in attempt to understand how social media operates. 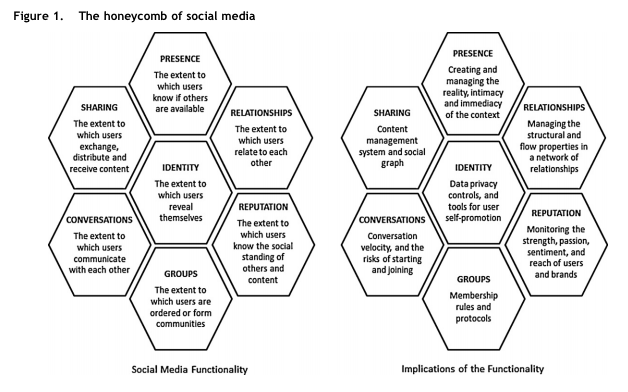 2) it gives social media a well concise definition with its honeycomb analogy. 3) it offers practical implications and relevant examples for mid-level managers in explaining what social media is. 4) it was written by my BUS450 professor at Simon Fraser University.